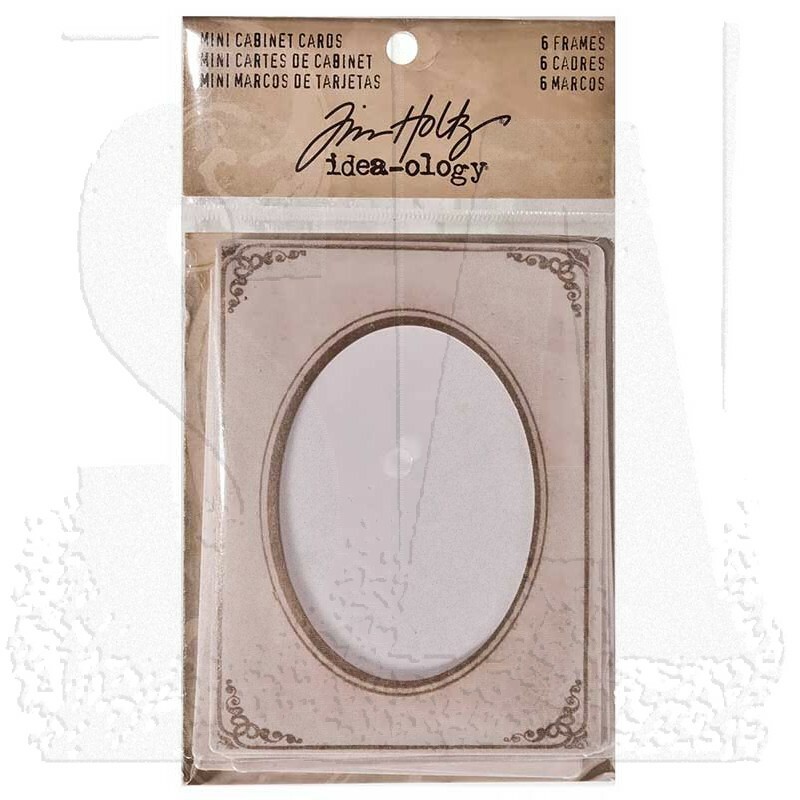 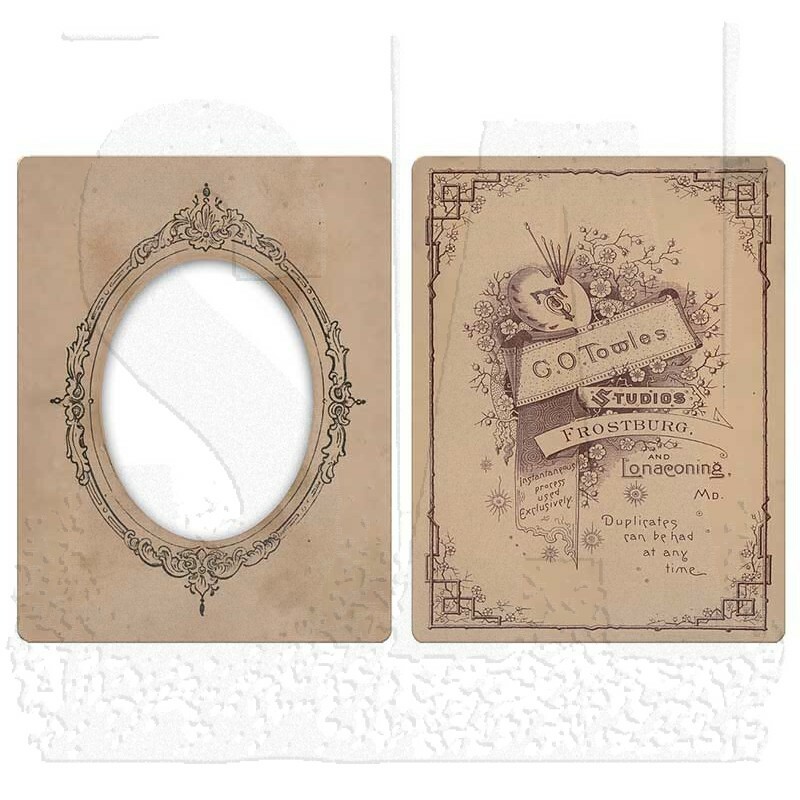 Six vintage style frames perfect for displaying 3" x 4" photos. 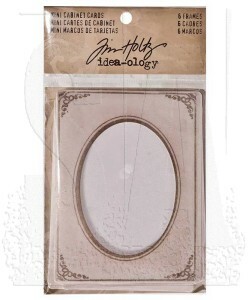 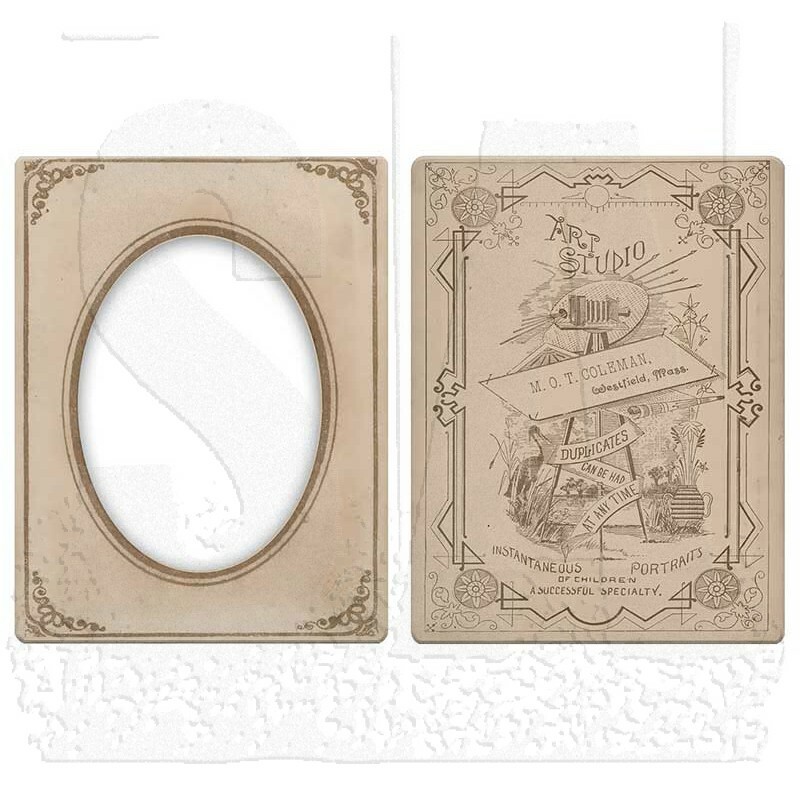 Double sided, printed chipboard with a slot opening at the top. 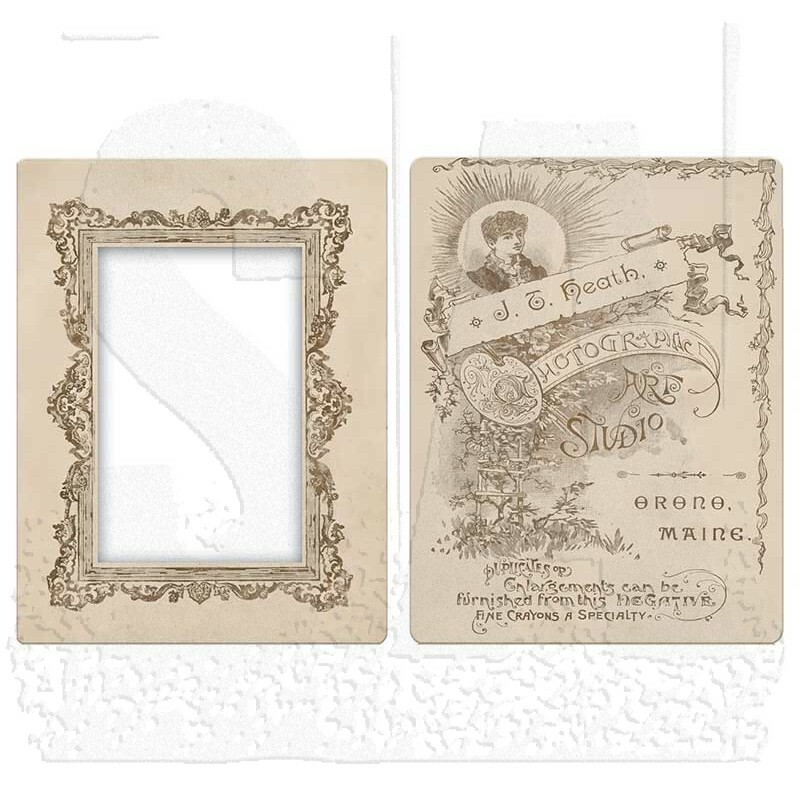 Contains six mini cabinet cards, two of each style. 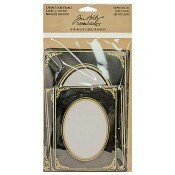 Cards measure approximately 4 1/4" x 3 1/4".